It was hot, it was dusty and we wanted to see some sights. Five women at this year’s Graham Bradley show including me wanted to play tourist and see some of the local sights while in the Lafayette, Indiana area. 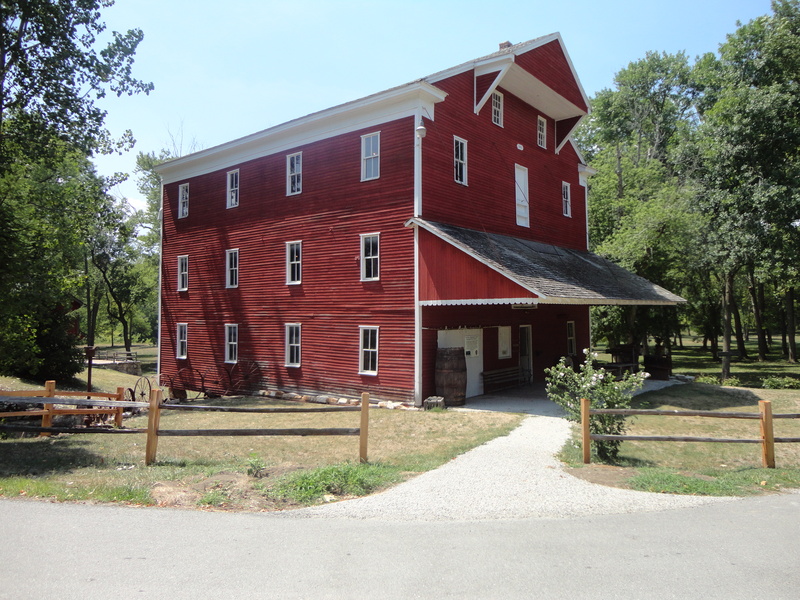 One sight that was on my list was the Adams Mill which was built by John Adams who selected his site when he walked along the Wildcat Creek from Lafayette toward what would become the site of Kokomo. Choosing the oxbow bend in the creek, Adams built a turbine powered mill that manufactured flour until 1953. Inside the mill is also an Americana Museum. The mill is built in the traditional post and beam constructiont from local hand hewn lumber. There is nothing much more impressive that beams of lumber and a three story structure without a single nail.